Many people celebrate Saint Nicholas today – except for the Netherlands, where I currently live, and where they celebrated it yesterday. Interestingly, for me with my German perspective, the Dutch drag it out much more – Saint Nicholas actually arrives here by boat, mid-November, and stays until December 5. I’ve seen the parade with the boat, though not this year, and it’s quite an impressive event that already gets you into a Christmas-y spirit. But for those who don’t have that, what better way to get into the mood than to watch some good old Christmas movies? Of course there are so many things that you could go and watch – but these are my five must-sees in the weeks leading up to Christmas. The best recipe, of course, is to cuddle up on your sofa or your bed, drown yourself in a pile of pillows and blankets, and have some tea or hot chocolate with it. So go do that right now, and – enjoy! Hogfather is an adaptation of the Discworld novel of the same name, written of course by Terry Pratchett, my Master of Humour. Set in an absurdist, comedic fantasy world, shortly before Hogswatch (Discworld’s Christmas), something very strange and very bad happens to the ‘Hogfather’ – he appears to be… gone. But belief makes the world go round, quite literally, and so it is up do Death and his quirky assistant to take over. Morbid? Perhaps a little bit. But someone’s gotta do it, right? I believe I first saw this movie (which is actually split into two 90-minute movies) over the Christmas Days a few years ago, when I had to stay home sick while the rest visited family – it was actually screened on German television. 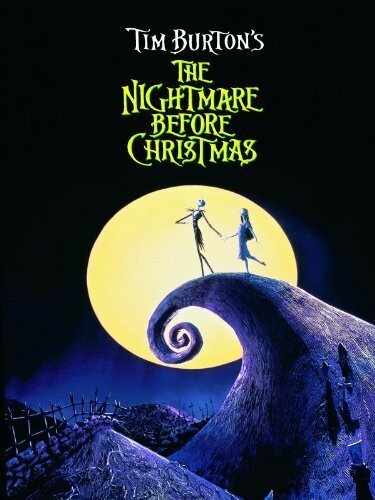 The Nightmare Before Christmas is another of those movies that my year just would not be complete without. In Halloween Town, Jack Skellington is getting incredibly bored: although he is magnificent when it comes to spooking people and all the townsfolk enjoy putting on the biggest Halloween celebration ever each year, it’s just not doing it for him anymore. But when he accidentally stumbles into Christmas Town, he is delighted by all the love and colours around him – and he decides to have his own Christmas instead. Because what could possibly go wrong? 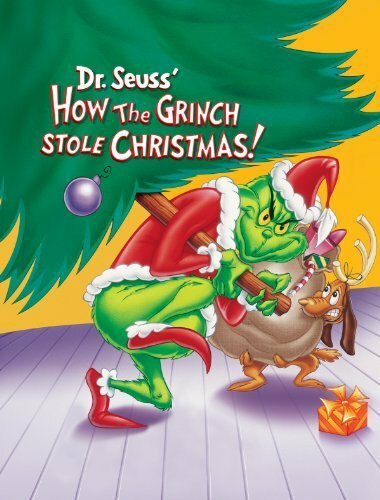 And what would Christmas be without Dr. Seuss’ How the Grinch Stole Christmas, narrated by Boris Karloff? While I occasionally enjoy the newer version with Jim Carrey too (very fond memories of watching it in the cinema with my brother), it has become a tradition to meet up with my best friend a few days before Christmas Eve for some good old cookie baking. And while doing so, we just have to watch the original Grinch from 1966. If I haven’t gotten into a Christmas spirit yet (and normally that only kicks in when I go to the Christmas markets, if it kicks in at all), this tradition will definitely do it for me – and seeing how the Grinch who hates Christmas simply tries to ruin it for all. Yes, point taken, this is not necessarily a Christmas movie. Frozen is in general just a winter movie, but it’ll make you feel loved and warm and cosy and happy all at once, so I suppose it might do for Christmas as well. Some cinemas even screen a sing-along version for the kids, which I am really hoping to do before Christmas – because everyone needs some Disney every now and then. 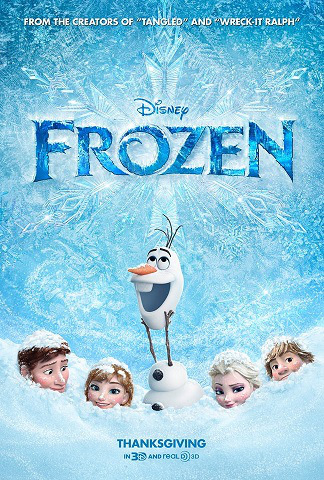 Coincidentally, Frozen is also the movie that I watch when I’m sick, or when I’m sad and need to feel better, with a huge bowl of soup in front of me. You don’t think it works? Try it! So much for my personal list – but as I said, there is so much more! So just in case you’re just not feeling it with the ones above, or need even additional material, I have asked around and people have come up with this small list of must-see movies to get into the spirit. And yes, some of them are rather… unconventional. Still – grab a blanket, and enjoy! And if you know a movie that definitely needs to be on the list, leave a comment and I’ll make sure I’ll edit it in. ← The Death of Excellence – or its Dawn? Now I have Nightmare Before Christmas songs stuck in my head haha. I guess Iron Man 3 could go in the unconventional Xmas film list. Kidnap the Sandy Claws, tie him in a bag – throw him in the ocean, then see if he is sad! Iron Man 3? Interesting choice, I added it! Why that movie though?